Research has also shown that basalt fibers have many other advantageous qualities. This thesis describes an applied research project, investigating the material characteristics of a relatively new material, continuous basalt fibers in polyester resin. 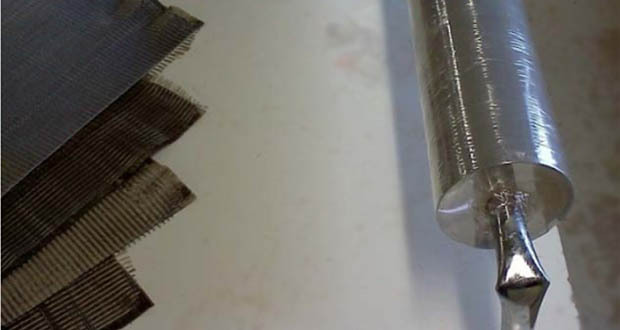 The objective was to examine whether a composite material made of polyester resin reinforced with basalt fibers, could be used for engineering structures. 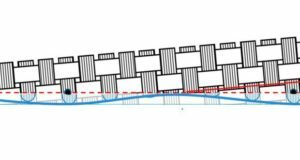 The project combines two phases. 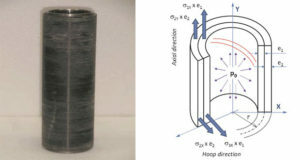 The first phase was a basic research of material properties where specimens made of basalt fibers in polyester resin were constructed and tested according to the ASTM standard. The second phase was the construction and testing of two1200 mm long tubes made of basalt fiber in polyester resin. The material testing phase included a study of simple state of the art methods used to analyze layered composite materials layer (laminate) by layer. Various standard load tests were the n applied to the samples. A uniaxial static tensile test, a uniaxial compression test, an in-plane shear test and a pin bearing test were carried out. The test results were compared with published test results for similar composite materials, such as glass fibers in epoxy and carbon fibers in epoxy. 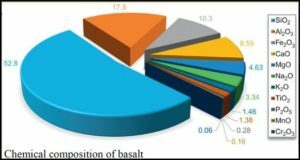 The results of the material testing indicated that basalt fibers can be used as reinforcement material in polyester resin, to create a composite structural material with acceptable engineering properties. 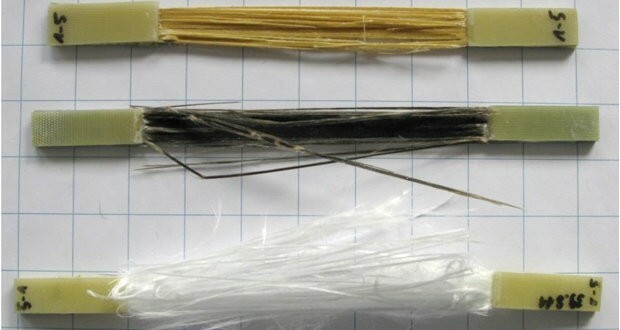 The comparison with other similar results for other composite materials showed that basalt fibers in polyester resin were in fact 19.3% stronger in tension than glass fibers in epoxy resin. Structural testing of the 1200 mm long tube, built using a composite material of basalt fiber reinforced polyester resin revealed, that the tube was strong enough to meet the standard design criteria’s specified for a regular four-meter high lamppost. Thesis (30 ECTS) submitted to the School of Science and Engineering at Reykjavík University in partial fulfillment of the requirements for the degree of Master of Science in Civil Engineering with Specialization in Structural Design.